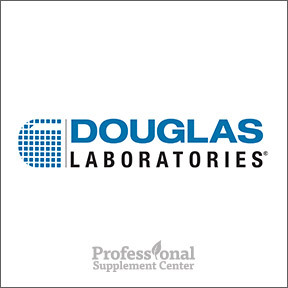 For 50 years, Douglas Laboratories has been researching, developing and manufacturing superior science-based nutritional supplements that positively impact health and wellness. Their innovative formulas are produced in state-of-the-art cGMP compliant, FDA audited manufacturing facilities located in Pittsburgh, Pennsylvania. 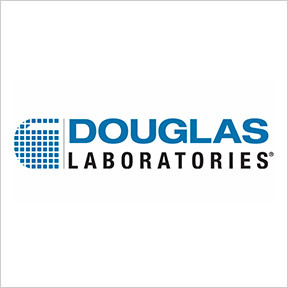 Douglas makes use of uncompromising operational standards and manufacturing regulations such as Vendor Certification Program (VCP) to ensure raw material quality and Veri-Match electronic label match-to-formula system to ensure content accuracy. Douglas is approved to produce Certified Organic products along with NSF Certified for Sport® products. Their clinical advisors include doctors specializing in endocrinology, integrative medicine, chiropractic, holistic urology, biochemistry, molecular biology, medical acupuncture, gynecology and family practice physicians, many of whom are board certified and work together to share the gift of health. 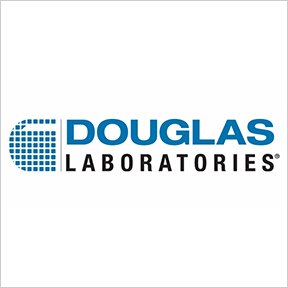 As a result, in 2013 Consumer Lab named Douglas Laboratories the #1 rated healthcare practitioner brand. Their innovative formulas are available through health care practitioners and high end specialty stores. Ultra Preventive® X (200569) – This supplement is ideal for those who are looking for highly absorbable, synergistic vitamins, minerals and phytonutrients. This formula provides support for energy production, hormonal balance, the nervous system and healthy blood cell maintenance with no side effects or toxic buildup. Yeast, gluten, soy and dairy free, non-GMO vegetarian formula. Multi-Probiotic 4000 (7497) – This product provides a proprietary blend of 4 billion beneficial microorganisms along with prebiotics in support of a healthy functioning intestinal tract. Regular use helps to establish and maintain healthy gut function and supports a healthy immune response. Yeast, gluten, soy, and dairy free, non-GMO formula. Corvalen® D-Ribose (57451P) – This rapidly dissolved and readily absorbed all natural pentose sugar is designed to support cardiovascular health, energy production, and mitochondrial function. Clinically proven to meet the substantial energy requirements of the heart, muscles and cells, this product aids in quick energy restoration and reduces muscle soreness, stiffness and fatigue. Yeast, soy, gluten and dairy free, non-GMO formula. Stress-B-Plus ™ – This comprehensive array of B vitamins provides all of the essential B vitamins along with their related nutrients and co-enzymes. B vitamins play an integral role in most major metabolic functions including energy production, metabolism, and nervous system function. Gluten, soy, yeast and dairy free, non-GMO vegan formula.